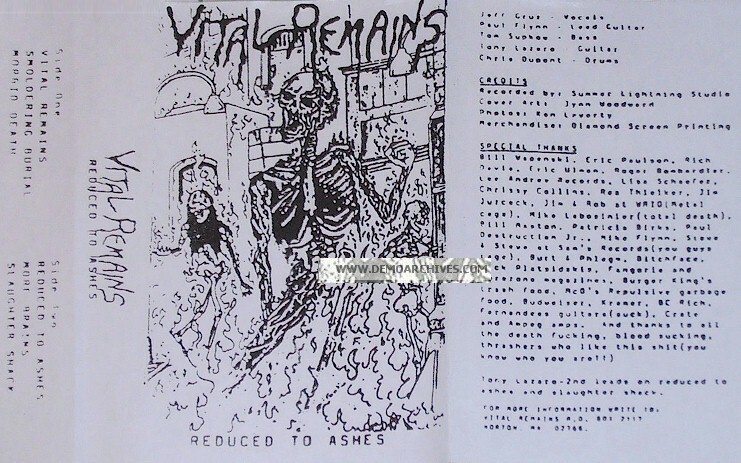 Vital Remains is a Death Metal band from Rhode Island, USA formed in 1988 by Paul Flynn. 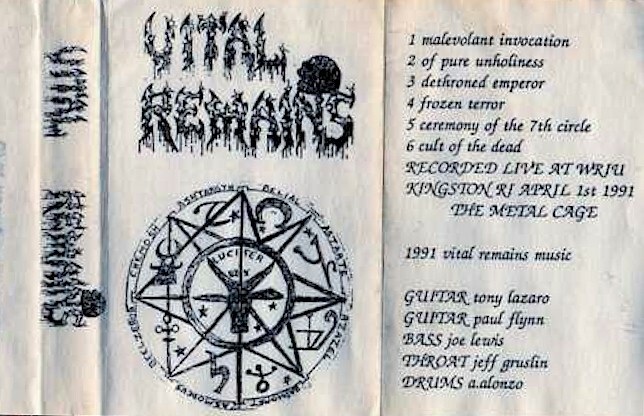 Vital Remains' first line-up, consisted of guitarists Paul Flynn & Butch Machado, vocalist Mike Flynn, bassist Tom Supkow and drummer Chris Dupont. Searching for better musicians Paul decided to search the local music scene. He came upon Tony Lazaro who in turn referred vocalist Jeff Gruslin to the band. 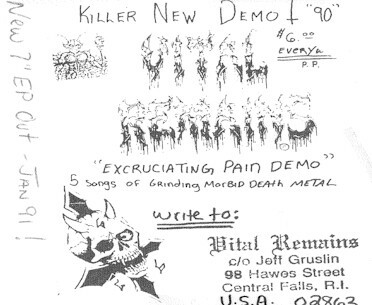 From there the band became a driving force in the local death metal scene. Lazaro and Flynn shared the writing duties in these early days. Soon after forming the band released a pair of demos (1989's Reduced to Ashes and 1990's Excruciating Pain) which led to a contract with French label Thrash Records, who in turn released the single The Black Mass in 1991. 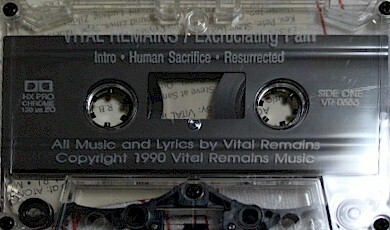 Shortly after the release of the single, which proved to be the band's first and only release with the label, the band signed to Peaceville's subsidiary, Deaf Records. A pair of releases followed for the Peaceville label, 1992's Let Us Pray and 1995's Into Cold Darkness.